A property management team with a difference. Be in Betty’s Bay is a combination of Lucille Nel and Ellen Oerlemans’ talents to provide holiday makers with exquisitely maintained homes for the perfect getaway. As the absent owners’ eyes and ears, Lucille and Ellen oversee any upkeep and look after the homes as if it were their own. Each home that is entrusted to the care of Be in Betty’s Bay is spring cleaned and primped for guests. Guests arrive to an impeccably clean home with flowers, treats, all basics necessities and crisply ironed hotel quality linen. The Be in Betty’s Bay team offers a very personal service with all the extra touches which ensure the return of guests to their favourite holiday rental homes. Owners have the peace of mind of knowing that their houses are cared for and also have the pleasure of arriving to spend their holidays in their own clean and well cared for home. Friends for nearly a decade with children who have been raised in the area, they know what a special and unique place Betty’s Bay is. 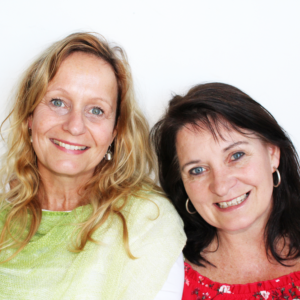 Lucille and Ellen help to meet the increasing demand for carefree holiday home ownership in the beautiful Betty’s Bay.